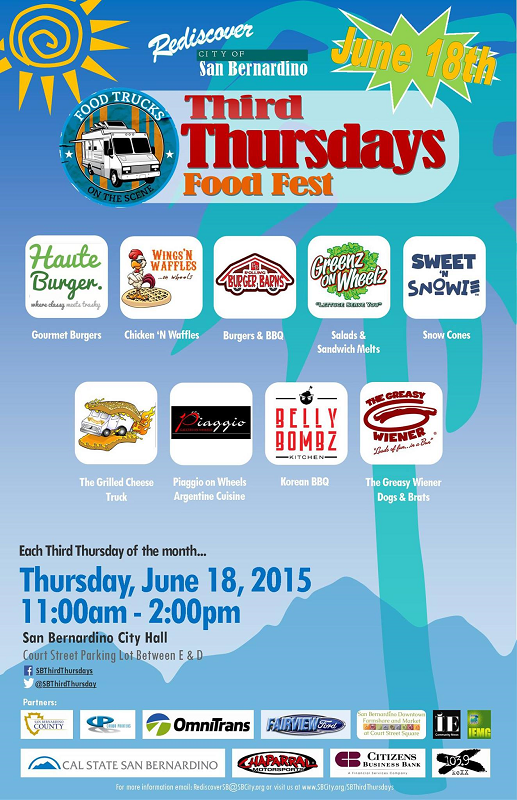 Today (June 18) is the third Thursday of the month, and that means food trucks will be returning to downtown San Bernardino! 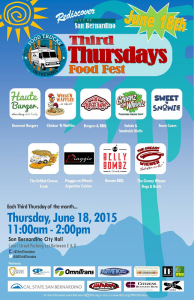 The trucks will again be parked from 11 a.m. to 2 p.m. in the City Hall parking lot on the south side of Court Street between D and E streets. 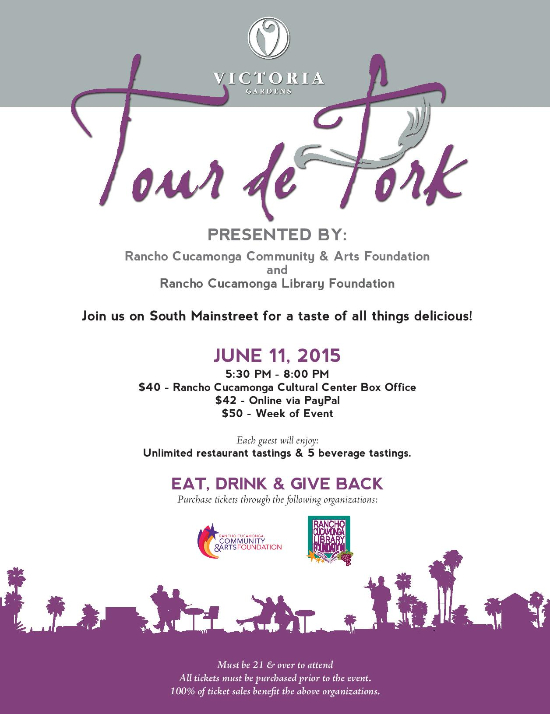 The Tour de Fork is returning for a third “tine” to Victoria Gardens in Rancho Cucamonga. 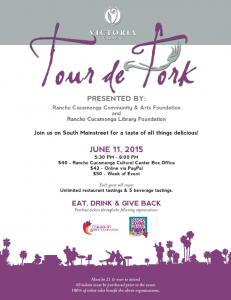 The fundraising event is set for 5:30 to 8 p.m. Thursday (June 11) along the center’s South Mainstreet. I’ve been able to attend both previous events and have enjoyed myself immensely. The 21-and-older event showcases restaurants located both at Victoria Gardens and in the surrounding area. Past events have also offered sneak peeks at soon-to-open eateries, with Slater’s 50/50, [N7] Creamery and No Clue Craft Brewery all having previewed at the event. 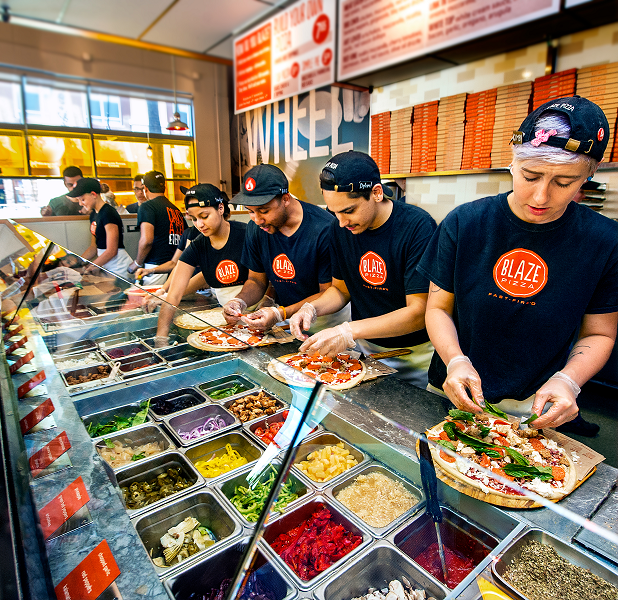 New this year is Blaze Pizza, which happens to be opening at Victoria Gardens the same day. Today (June 5) is National Donut Day, begun during the Great Depression by the Salvation Army as a means to raise funds and bring awareness to the organization’s social service programs. It also commemorates the “donut lassies,” female Salvation Army volunteers who provided writing supplies, stamps, clothes-mending and home-cooked meals, and of course, donuts, for soldiers on the front lines, initially during World War I. The winners of the Readers Choice Awards — chosen by you, the readers of the Inland Valley Daily Bulletin, The Sun and Redlands Daily Facts — were recently announced. There are two sets of winners: one for the Daily Bulletin and one for The Sun and Facts. On the Bulletin side, the big winner was Pine Haven Cafe in Upland, which won in four categories: American Cuisine, Brunch, Buffet and Power Lunches. 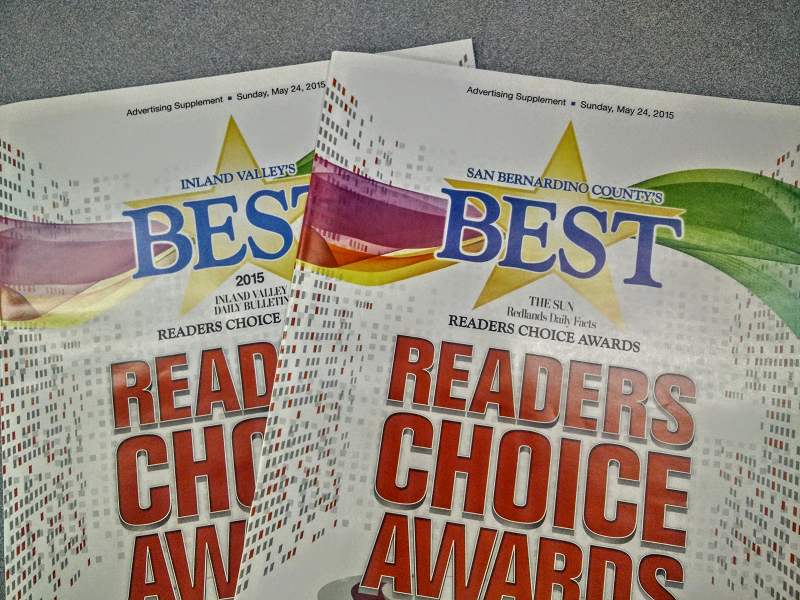 Other multiple winners for the Bulletin were Rancho Cucamonga’s Fleming’s Prime Steakhouse and Wine Bar, chosen for Best Wine Selection and Best Steak; Upland’s Spaggi’s for Best Italian and Best Catering; and Rancho Cucamonga’s historic Sycamore Inn, winning the Best Ambiance and Best Romantic Restaurant categories. The big winner for The Sun and Facts was The Castaway in San Bernardino, winning the Best Ambiance, Best Brunch and Best Romantic Restaurant categories. It’s also the only multiple winner for the two papers.